As with many large public venues, the opportunity to save energy and benefit from advances in technology are becoming increasingly apparent. The Food and Beverage team were focused on improving equipment monitoring for more effective food management and reporting. Adam saw the opportunity to facilitate discussion between the different Crown departments. The trial was carefully planned with each of six stages focused to isolate the impact of each individual change to the refrigeration unit. In this way the most valuable changes to Crown as a whole, and to each department could be identified and prioritised. The first stage of the trial was to identify baseline energy usage. Meters were installed on all equipment to be able to log data on equipment performance and energy use. “We needed to establish the baseline so that each department understood the starting point. That way, the cost as well as the benefit of each subsequent stage could be correctly apportioned.” Adam said. The first change was to replace refrigerant gas R22 with R507. R22 is legislated for phase out in Australia due to its negative environmental impact. It was a priority for Crown to switch across to a new, reliable refrigerant as soon as possible because as supplies decrease, purchase costs continue to rise. Stage three, four and five focused on introducing new parts to the refrigeration system, such as Electronic TX valves, a Variable Speed Drive (VSD) controller and replacing the coils in the evaporators. These measures improved refrigerant flow responsiveness, enabled independent pressure and temperature control for each cool room and improved the effectiveness of old equipment. In stage six product probes were installed in the cool rooms to provide air temperature data to inform operation of the evaporator fans. The entire solution is integrated to a control system called Carel, previously tested by the Crown Food & Beverage team during a new restaurant install. The combination of technologies have the potential to eradicate human reporting error, reduce food spoilage and automate government reporting. “It made sense to use Carel, because Crown already had experience using this type of control system. Integrating this project with previous expenditure also helps to reduce cost,” says Adam. Results from the trial are impressive. Energy usage by the refrigeration unit involved in the trial has decreased by 30%. All three departments at Crown and AE Smith can now use the data from each individual stage to make informed decisions and allocate budget to the most effective measures. Considering the potential cost savings across 120 cool rooms/freezer rooms, this is looking to be an energy saving winning streak for Crown. Crown Melbourne is Australia’s leading integrated resort. The award-winning dynamic and diverse complex includes luxury accommodation in its three hotels, world-class dining, a variety of retail options, the Palladium ballroom, outstanding conference facilities and vibrant gaming and entertainment options, making it one of Australia’s most visited tourist attractions. 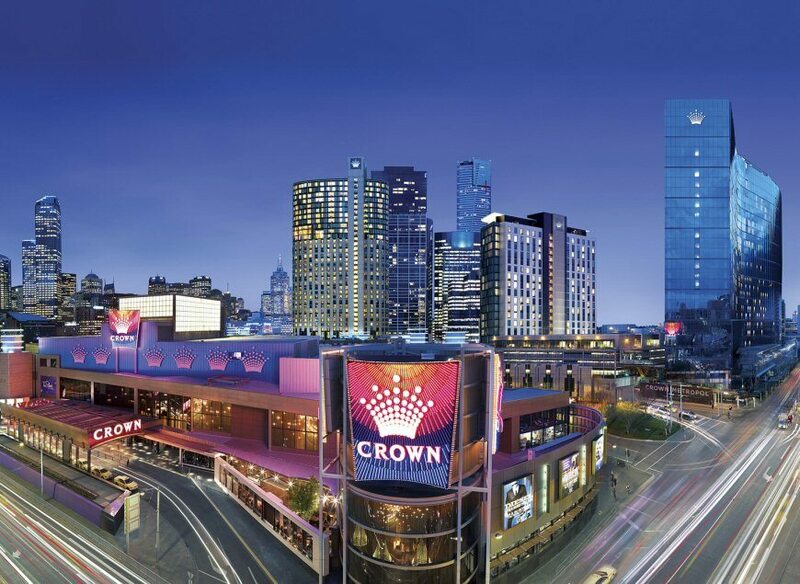 Crown Melbourne was recently awarded the “Casino/Integrated Resort of the Year for 2014” at the prestigious International Gaming Awards (IGA) in London. The IGA is considered the “Oscars” of the gaming industry and celebrates the outstanding performance of industry worldwide.